Please enjoy this temporary site while we’re re-branding to better serve you. Monique Melton is a relationship & diversity coach, an educator, published author and international speaker. She is also the founder of Shine Brighter Together, which is a community dedicated to healthy relationships & racial unity. The focus of her work is in the healing and hope of healthy relationships & racial unity. She does this work by supporting men and women in engaging in intentional "heart work" necessary for all of us to come together in unity. She believes we all have work to do and it’s going to take all of us to truly see the true, unified and diverse communities we are created to embrace. She believes "heart work", spiritual, personal and relational growth, is imperative to racial unity & building strong relationships. She uses her signature "heart work" approach to bring about the healing and hope for healthy relationships and racial unity. She has created resources for spiritual & personal growth, embracing diversity, as well as building healthy relationships. She travels the world speaking at conferences and events on topics related to personal growth, healing, diversity, and relationships. She’s been published in magazines, featured in blogs and podcasts and has touched the lives of people all over the world. She is a natural big-bold dreamer and a deeply rooted woman of faith. She is a proud Navy wife to her high-school sweetheart and she is a loving mother to two little ones. 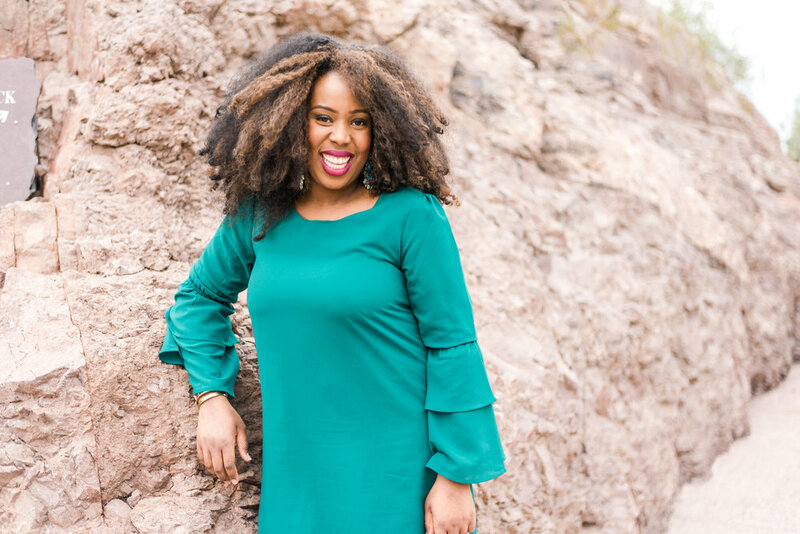 She has a BA in social science with an emphasis in sociology & psychology and two years of graduate school education in Clinical Counseling from Johns Hopkins University. She believes it's not all about your comfort, but it's about your growth. Services: Personal and Relationship Coaching, Masterminds, Public Speaking, Training and workshops. Have a question or are you interested in working with Monique? Simply use the contact form below to contact Monique. Join the community to receive inspiration and encouragement to build happy and healthy relationships with God, self and others. Plus community-only perks.